Since her Seasons in London ended in disaster, Chloe Muirhead is resigned to spinsterhood. Driven by the need to escape her family, she takes refuge at the home of her mother's godmother, where she meets Ralph. He needs a wife. She wants a husband. So Chloe makes an outrageous suggestion: Strike a bargain and get married. One condition: Ralph has to promise that he will never take her back to London. But circumstances change. And to Ralph, it was only a promise. 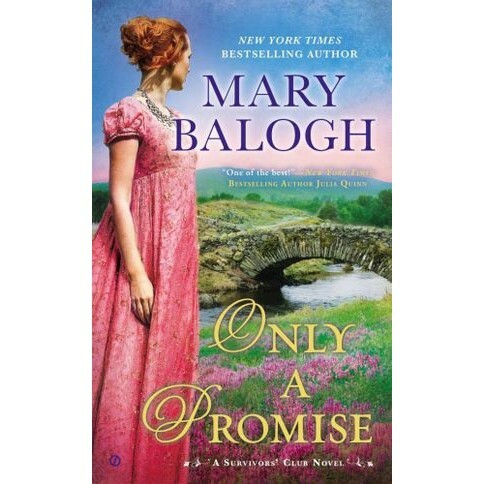 Mary Balogh has written more than 100 historical novels and novellas, more than 30 of which have been "New York Times" bestsellers. They include the Slightly sextet (the Bedwyn saga), the Simply quartet, the Huxtable quintet, and the ongoing 7-part Survivors' Club series. She grew up in Wales and now lives with her husband Robert in Saskatchewan, Canada.